In the Land of Ice, where the elves accompany us, and the trolls watch us, everything seems from a story that reminds us of the ideas that inspired Julio Verne in his book: Journey to the Center of the Earth. Going back to the Viking times where Leigur Eriksson explored Iceland is very easy to imagine, but it is simpler to think how hard that era had to be … it is normal for Iceland to be the last country in Europe to be populated! Icelanders love their customs, their language, family ties, sagas, their nature, poetry – one in ten Icelanders publish a book in their life – and the work. It is the second largest island in Europe and has its capital in Reykyavík which means steaming bay due to the steam that springs from the geothermal cracks. 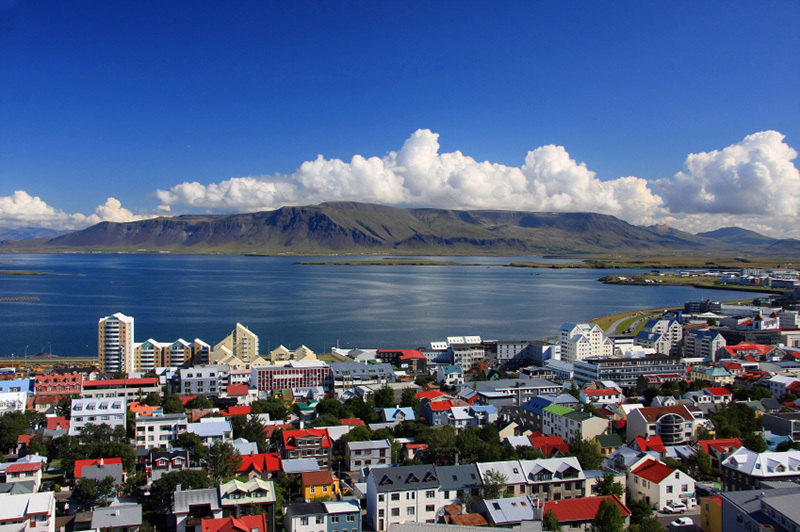 Reykyavík is the most northern capital of the world and receives the tourist in a cozy and also in a wild way. Infinite legends make Reykjavik a city full of charm, but what about the wild nature of Iceland? Islandia es algo BRUTAL y bestial… yo que fui hace medio año, bueno, algo más, 8 meses…y volví babeando, con ganas de más. Una tierra espectacular, gente maja aunque a veces algo cerrada según el sitio dentro del pais, pero los menos. Y la fiesta de auroras boreales, cascadas…etc, de hecho la foto más vista de mi galería es de Islandia, aurora boreal y hecha con el móvil…acojonante! Ya sabes, ¡¡te tocará regresar! !